But, I did try to accomplish Diane Gaudynski's Feathers. I don't think I was very successful at all. I would say I'm a preschooler in the school of feathers. I think mine look like alien fingers. My problem is that I can not create a feather starting at the bottom and sewing up. As much as I try, my brain can't connect to the hands to make them smoothly sew them out. Here's the results. Too Funny but really original. I promised myself I would continue to try the feathers. I may need to adapt the instructions to my OCD way of having to start at the top of a feather and wrap to the bottom. But, I did complete the February challenge on the last day of the month! Happy Leap Day and now you can feel great about yourself by saying... damn... my feathers are better than that. My kid can do better than that! Again, Happy Leap Day! Congratulations on finishing your feathers! For your first ones they look great - just keep it up. Maybe if you had used white thread you would have been more pleased with the results. I find that it is easier to make feathers from the top down and struggled with going from the bottom up this time. I think for your first try, your feathers are very good. 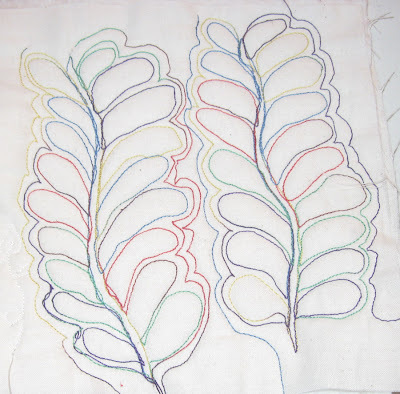 My first fmq feathers were not as good. 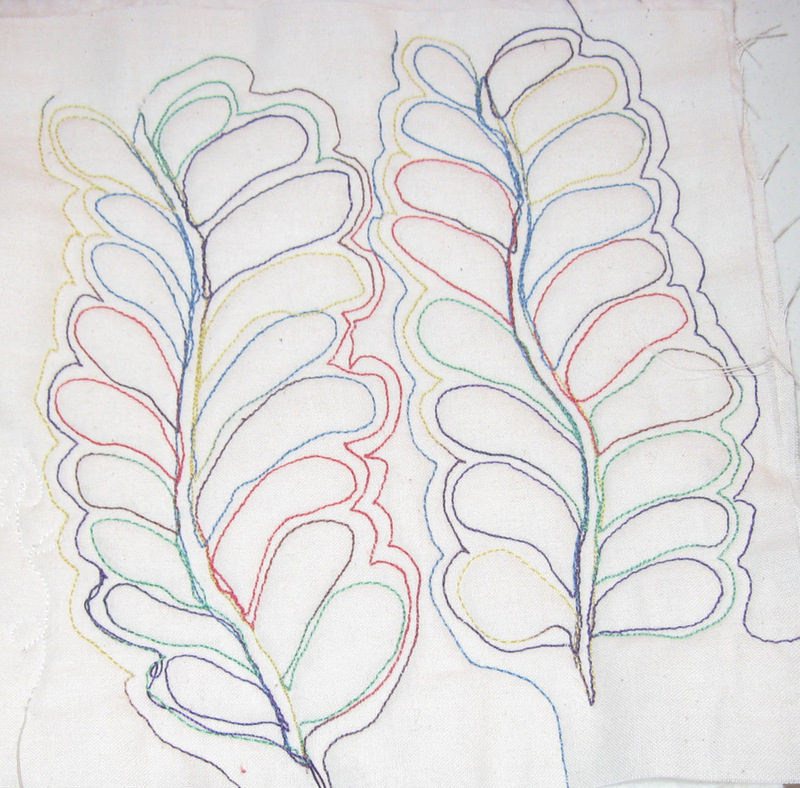 I like the variegated thread colour it is pretty. With practice your feather shapes will be fabulous, absolutely fabulous! Happy Leap Day to you as well. Hi, I follow your blog, and your feathers look OK, gosh you should see what I accomplished. Well done for the first try.